Comes on when the reminder message or warning message appears on the multi-information display. 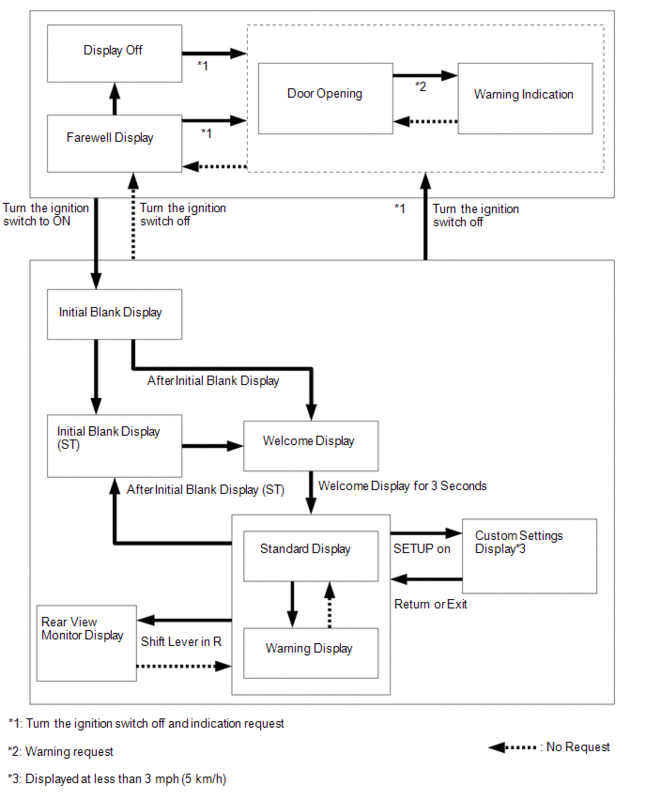 The multi-information display shows "DIAG" when turn the ignition switch to ON (See page ). Diagnosis information can be displayed on the multi-information display after connecting a jumper wire between terminals TC and CG of the DLC3 connector. (a) Check the illumination function of the warning, indicator, or reminder light listed below when turn the ignition switch to ON. Warning or indicator light comes on for about 3 seconds after the ignition switch is turned to ON. Warning light comes on for about 6 seconds after the ignition switch is turned to ON. 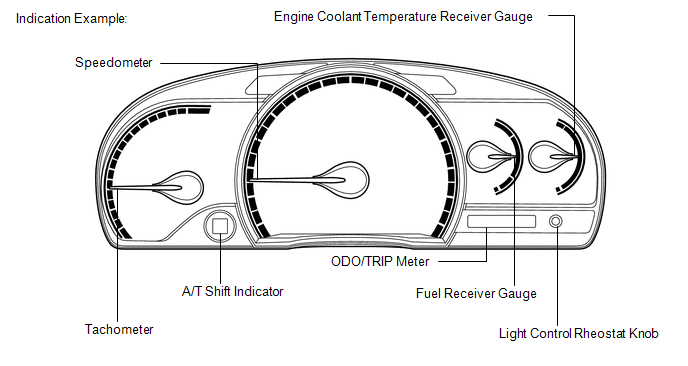 Warning or indicator light comes on when the ignition switch is turned to ON before engine starts. Warning light comes on for about 4 seconds after the ignition switch is turned to ON.